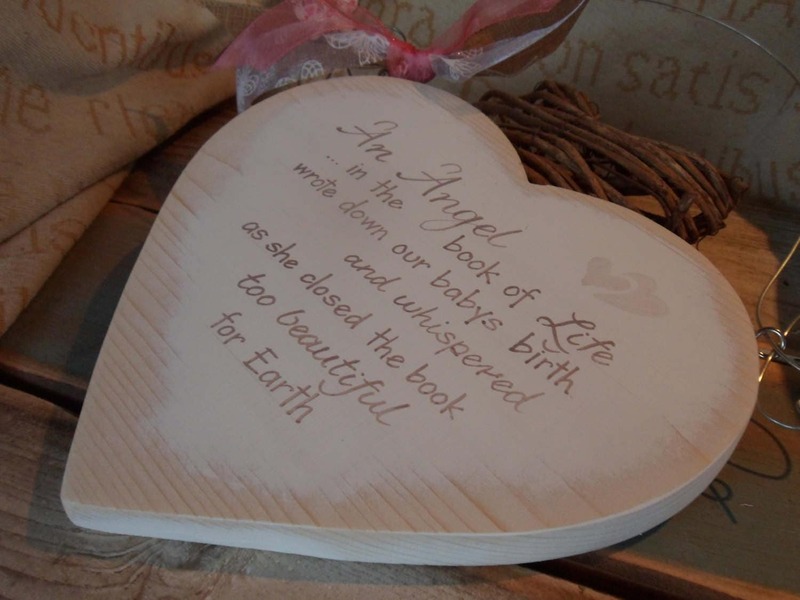 An Angel in the book of life, wrote down my baby's birth.Personalised infant baby bereavement and sympathy heart to remember loved ones. 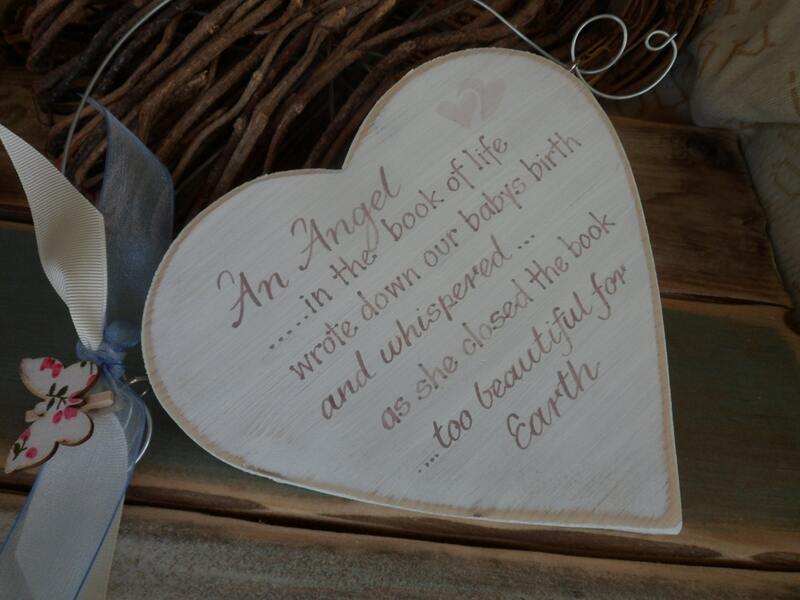 What a beautiful way to remember a loved one at such a difficult time. 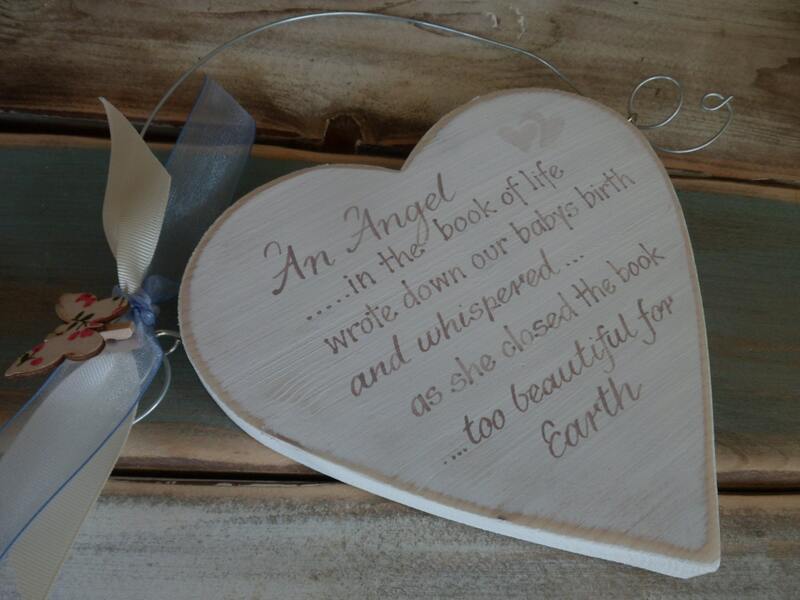 We have a beautiful handmade shabby chic heart with An angel poem. 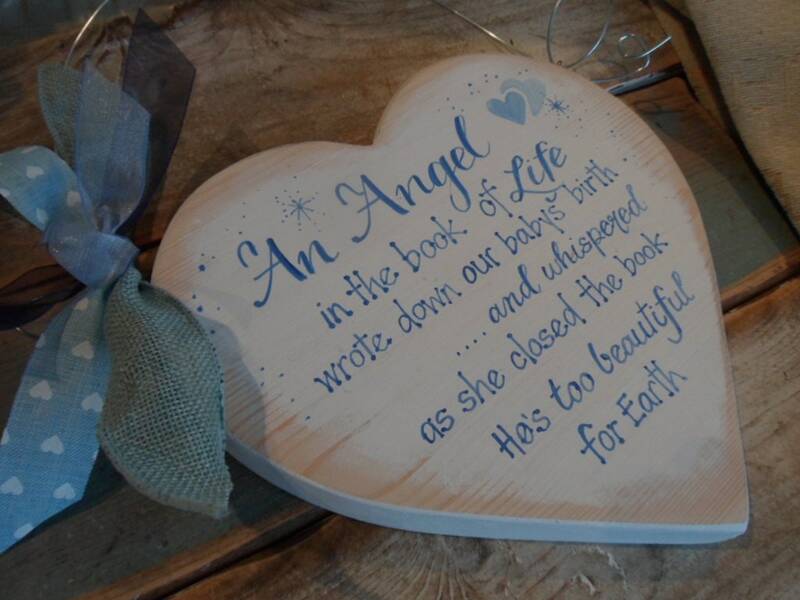 This sign is a beautiful little reminder that although our loved ones have passed away, they are still with us every day. 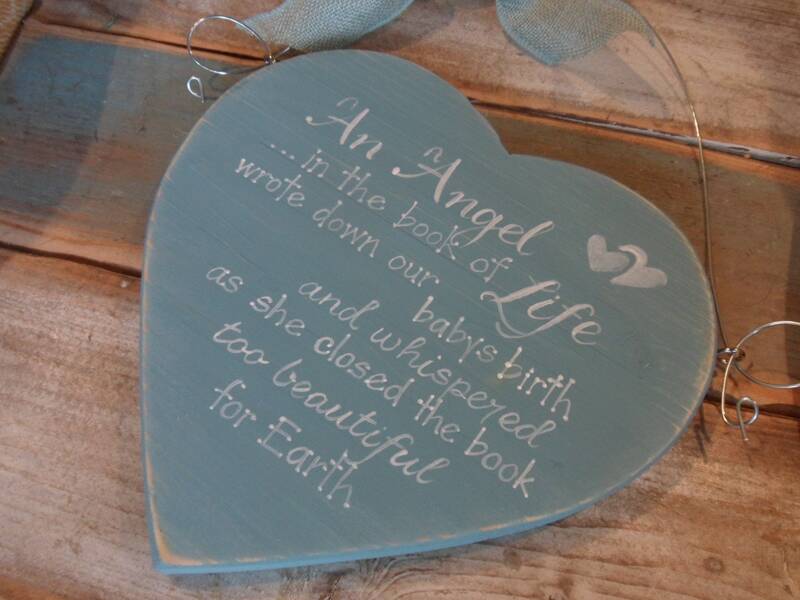 These make a wonderful thoughtful gift for friends and family members who have lost someone they love. 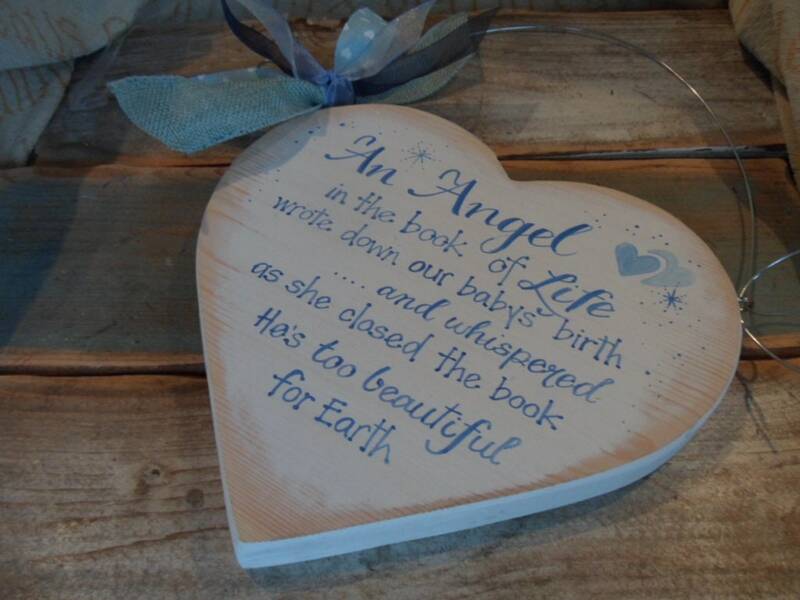 You can personalise with a name on the heart or we can add an additional heart or star underneath the larger one. 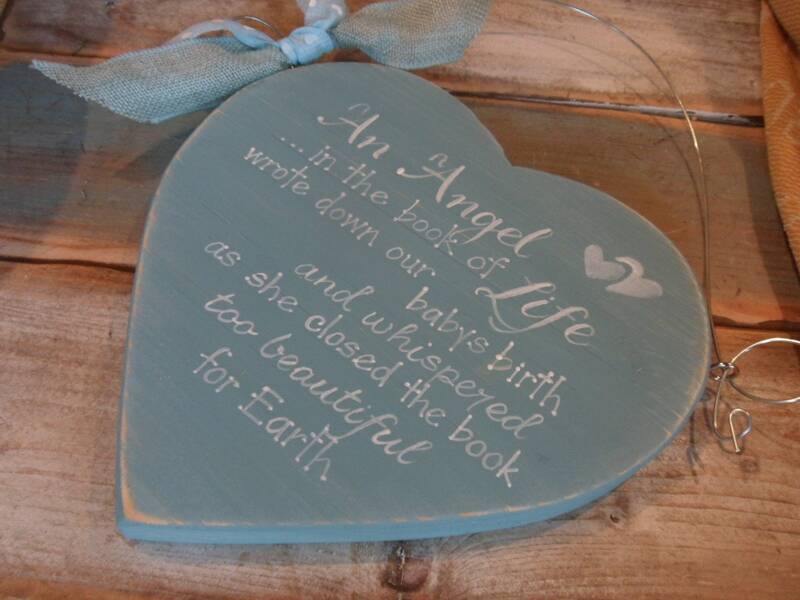 For a bespoke service, please message any variations you would like at time of ordering. 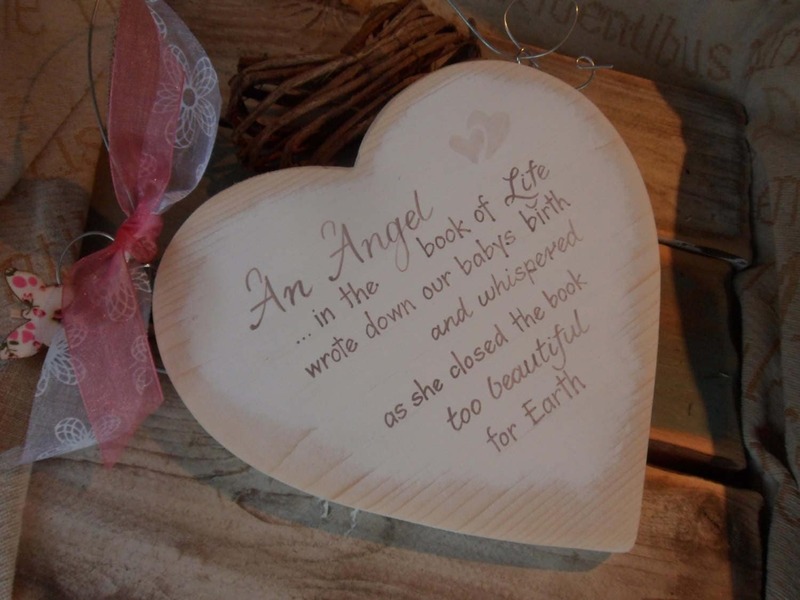 As each plaque is made to order, there will be slight variations in stain colour aswell as differences in the design and painting. 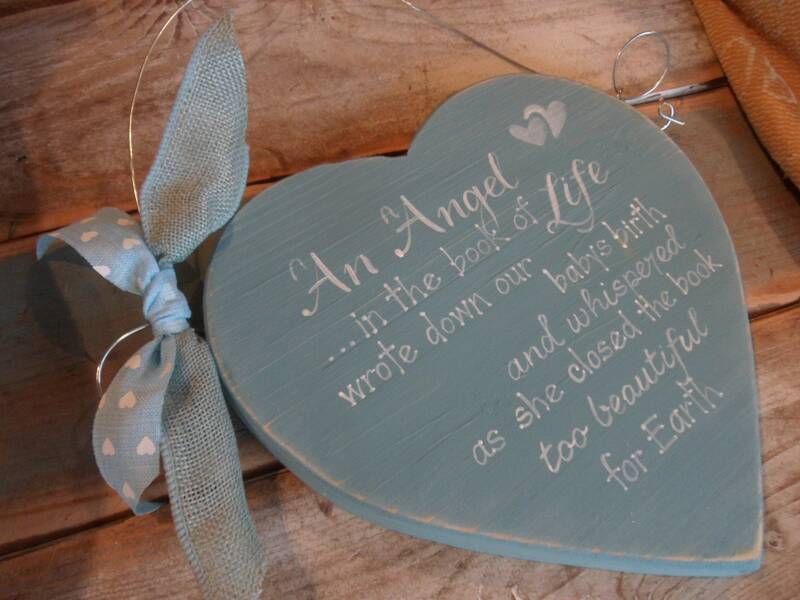 Make a lasting impression with our beautiful, thoughtful personalised keepsakes. This person didn’t even ask if I liked it before sending it to me. It was messed up when I received it. Then wants to finally refund if I send it back. 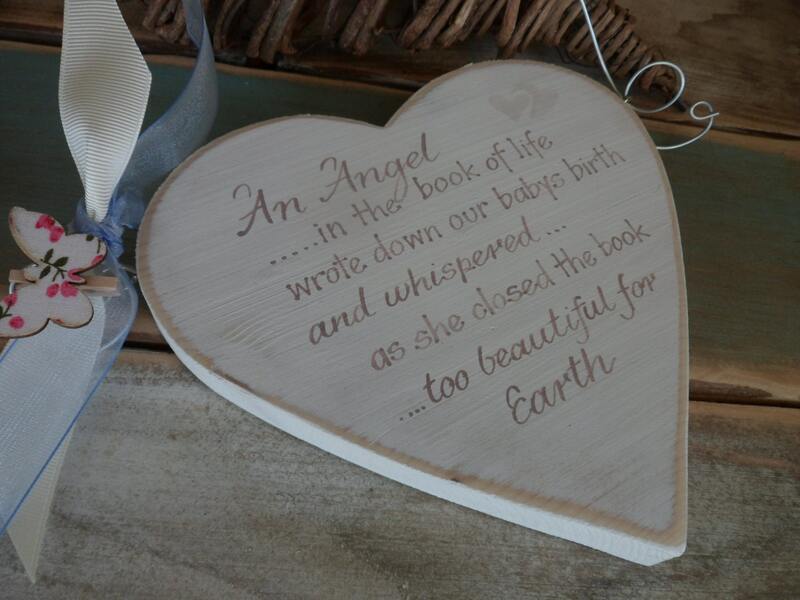 Which would cost me as much as it cost!